Our holy water bottle is perfectly sized for purse or pocket. 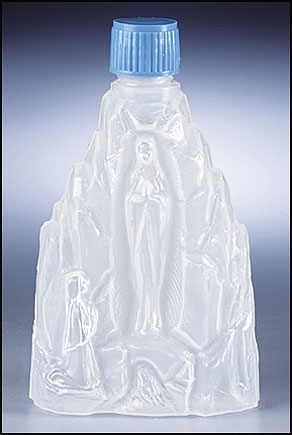 Comes with a screw off cap for easy filling and contains a raised image of Our Lady of Lourdes on the front. Also includes a convenient sprinkler style cap to easily distribute holy water in small amounts. Great for transporting holy water or just use it for convenient storage.